Share the post "Quick plays: MIKAEL ERLANDSSON, SLUG COMPARISON"
This is the sixth solo album from vocalist/keyboards player Mikael Erlandsson, who may be more familiar to fans of melodic rock as the frontman of Last Autumn’s Dream, who have released a string of albums since forming in 2002. On this album he is joined by guitarist Sayit Dölen, drummer Pontus Engborg (Glenn Hughes) and bassist Joel Starander. 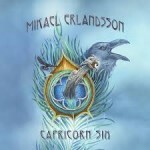 Erlandsson is the master of the love lost ballad and again he hits the target with ‘Had To Let You Go’. Plenty of rock on offer, nothing to heavy, although ‘Break Another Heart’ and ‘OK’ will shake the dust of your speakers. The latter is a real belter, with a massive chorus and memorable melody. 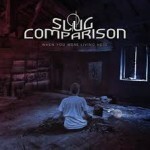 Slug Comparison is the solo project of Fen vocalist/guitarist Doug Harrison. This is his second album under the Slug Comparison name, although this album contains songs previously released in a series of four EPs, along with some new songs. It covers a fair few musical bases, be it Radiohead lite on ‘Fine With It’, the claustrophobic atmosphere on the acoustic title track (one for Alice Cooper to cover?! ), or the acoustic pop of ‘Becoming’, Doug Harrison has plenty of musical ideas. This entry was posted in ALBUM REVIEWS, ALBUM REVIEWS (Mobile), All Posts, Quick Plays and tagged album, AOR, Capricorn Six, Conny Plank, Doug Harrison, Fen, Last Autumn’s Dream, melodic rock, Mikael Erlandsson, progresssive, review, rock, Slug Comparison, When You were Living Here. Bookmark the permalink.